The US Postal Service will honor the late former president George H.W. Bush with a “Forever” stamp. 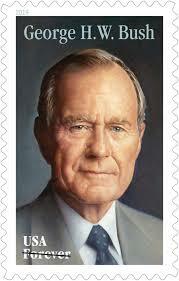 The commemorative stamp will be issued on Bush’s birthday, June 12. A first-day-of-issue ceremony will be held that day at the George H.W. Bush Presidential Library and Museum in College Station.